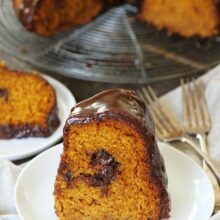 Pumpkin Truffle Bundt Cake with Chocolate Ganache-moist pumpkin bundt cake with a tunnel of pumpkin spice truffles and a simple chocolate ganache glaze. The big debate…is it pumpkin season? Some people are ready for pumpkin the day after Labor Day, some people want to wait until October…and I am sure there are people who never want to see pumpkin in ALL the things, but I can’t be friends with those people because pumpkin is my FAVORITE. I look forward to pumpkin season all year long so I can make pumpkin everything. 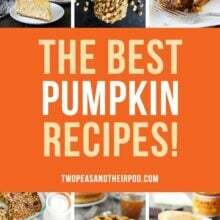 You can check out my favorite pumpkin recipes here. So is it time? I vote YES! Ready or not, we are kicking off pumpkin season on our blog today by sharing an amazing pumpkin cake recipe. 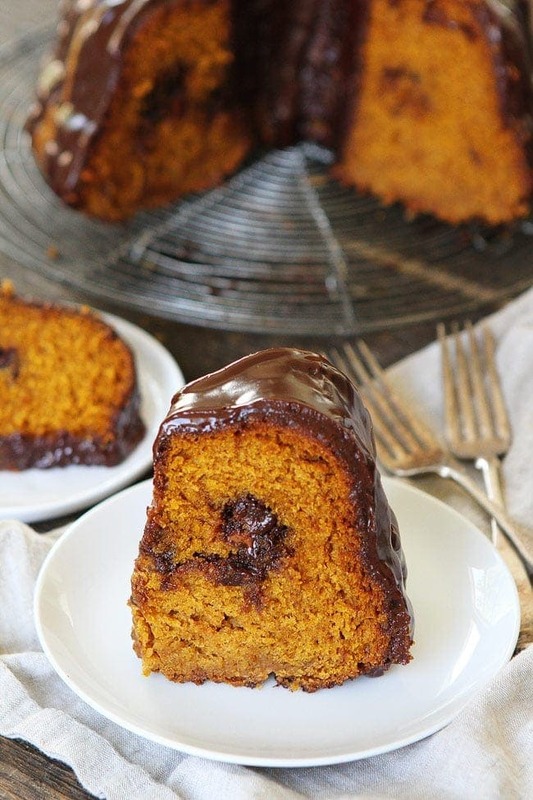 This Pumpkin Truffle Bundt Cake with Chocolate Ganache is amazing! I actually started my pumpkin season earlier this year because I tried the new LINDOR Pumpkin Spice Truffles a few weeks ago and I haven’t stopped eating them. They are soooooo good! 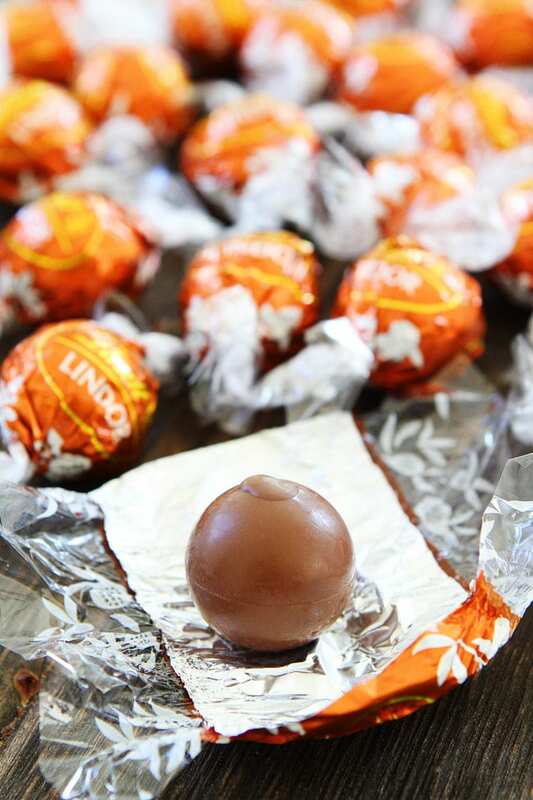 The LINDOR Pumpkin Spice truffles combine smooth milk chocolate with a gourmet pumpkin spice filling that will have pumpkin lovers jumping for joy…or jumping into a big pile of fall leaves. The truffles are sure to get you excited for all things fall! I made my favorite pumpkin bundt cake recipe, but I added a tunnel of pumpkin spice truffles inside the cake. Oh yes I did! The pumpkin spice truffle tunnel is a pleasant surprise. It will have you wondering what is that amazing flavor in the inside of the cake…and it will have you wanting more and more and more! I like to call it the pumpkin spice tunnel of looooove! The cake is finished with a smooth and silky chocolate ganache. Oh, yeah! The pumpkin and chocolate game is strong! I bet you are ready for pumpkin season now! This Pumpkin Truffle Bundt Cake is the perfect recipe to kick off pumpkin season. Enjoy! 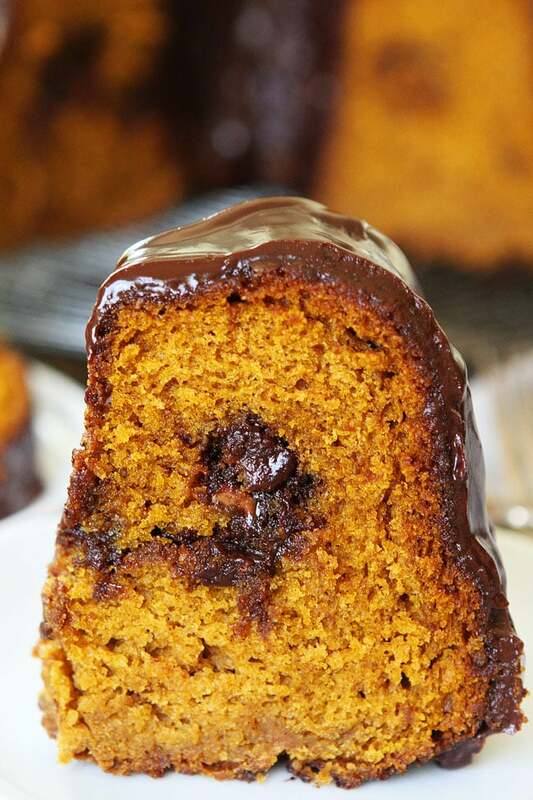 Pumpkin bundt cake with chocolate ganache and a tunnel of pumpkin spice truffles inside! Preheat oven to 350°F. Spray a 10-inch bundt pan with nonstick cooking spray and set aside. In a medium bowl, whisk together flour, baking soda, pumpkin pie spice, and salt. Set aside. 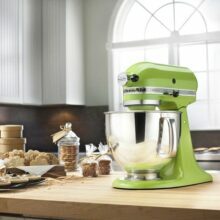 In the bowl of a stand mixer fitted with the paddle attachment, combine sugar and oil until smooth, about 2 minutes. Add eggs, one at a time, beating well after each addition. Add in the vanilla extract and mix until combined. Add flour mixture to egg mixture alternately with pumpkin, beating well after each addition. Pour half of the cake batter into the prepared bund pan. Sprinkle the chopped truffles over the batter. Pour the remaining batter over the truffles, making sure they are all covered. Smooth the top with a spatula. Bake for 60 minutes or until toothpick inserted near the center comes out clean. Remove from oven and place on a wire cooling rack. Cool for 15 minutes before inverting onto the wire rack. Cool cake completely. While the cake is cooling, make the the chocolate ganache. Place the chopped chocolate in a medium bowl. Heat the cream in a small sauce pan over medium heat. Bring just to a boil, being careful to not let it get to a rapid boil. Pour the hot cream over the chopped chocolate and let sit for 2 minutes. 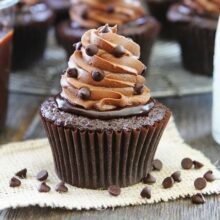 Whisk until chocolate ganache is smooth and silky. Whisk in the corn syrup, this will make the chocolate ganache extra shiny. 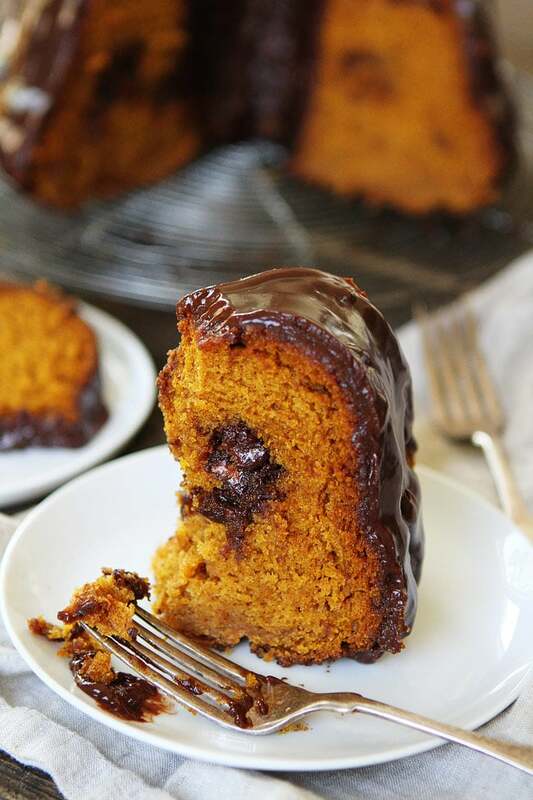 Drizzle chocolate ganache over the pumpkin bundt cake. Cut into pieces and serve. Note-cover the cake and keep on the counter for up to 3 days. This post is sponsored by Lindt, but our opinions are our own. Thank you for supporting the brands that continue to make Two Peas and Their Pod possible. I’m one of those people who’d rather wait a little longer – we’ve had a very late heatwave last week, so I’m not really in an Autumn-mood yet! That being said, my mouth still waters when I see this cake 😉 Smart idea using the Lindor truffles, that’s a nice surprise. 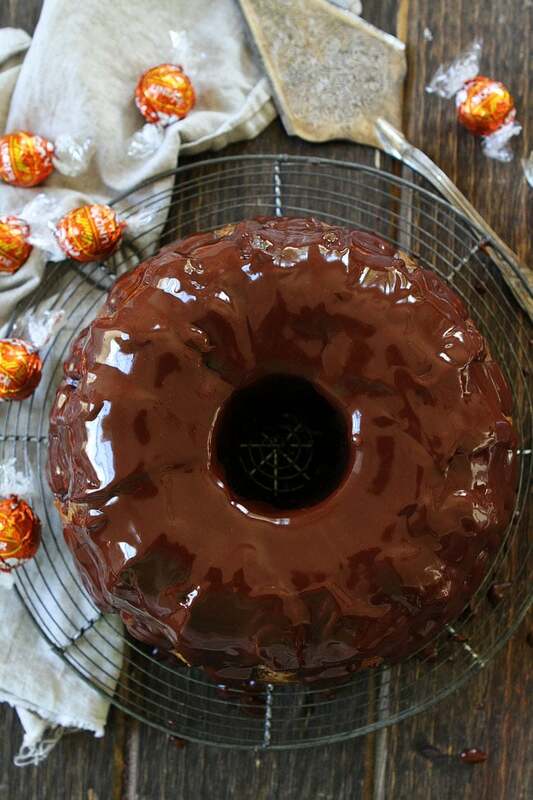 Now I’m really craving pumpkin spice truffles but I don’t think Lindt does them in the UK… 🙁 The cake looks amazing and the truffle tunnel is a great idea! 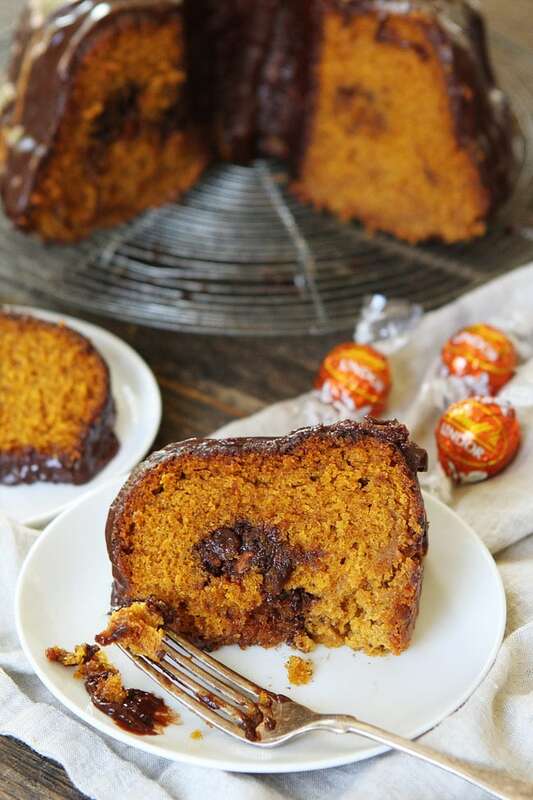 OMG – LOVE this pumpkin truffle cake! Way to elevate and standard fall bundt cake to awesome. It’s definitely pumpkin season and this looks awesome! That chocolate seals the deal! Love that chocolatey center! Hooray for pumpkin season!! I so want some of this! Beautiful festive bundt cake! Looks fantastic!! 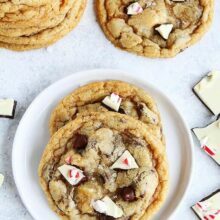 hey girl this looks so yummy! I need this NOW! How amazing!